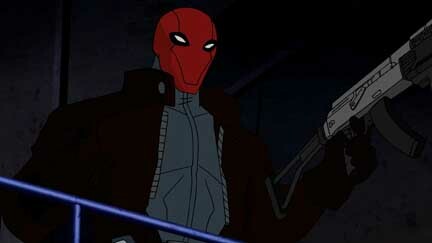 Batman: Under the Red Hood will be the next installment in Warner Home Video’s animated films based on DC Comics properties. Judd Winick wrote the film, based on his own comic-book story. The film will be directed by Brandon Vietti. The cast include Bruce Greenwood as Batman, Jensen Ackles as Red Hood, John DiMaggio as the Joker, Jason Isaacs as Ra’s Al Ghul and Neil Patrick Harris as Nightwing. It is not for everyone. It is well made with good production values and action, all wrapped up in darkness and tied with a bow of brutality.